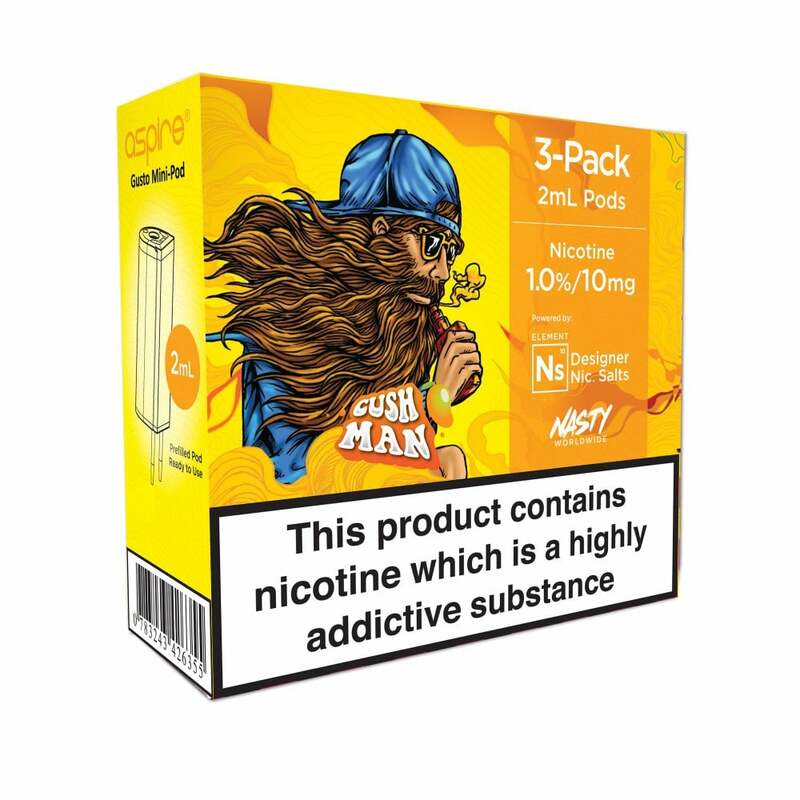 Nasty Juice Cush Man is one of the most popular tropical juices on the market, and is now available as a nicotine salt pod for the Aspire Gusto Mini! Cush Man Gusto Mini pods are full of juicy, vibrant mango flavour, with a touch of mint making this flavour something really special. So juicy and tasty! Dangerous as I could vape this all day! You can really taste the flavour. Excellent product just not to my personal taste. My friend loves this one. I personally bought a pk of every flavour when the offer was on for multiple packs. Worth every penny. Simply put, it tastes like Rubicon Mango Juice. Incredible.